Before electric cars entered the mainstream, there was a common assumption that electric motors could never provide enough power to make for viable vehicles. 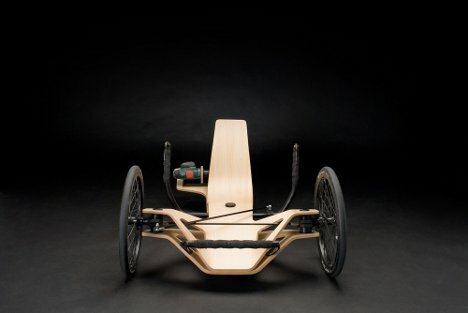 We’ve moved past those days, but this gorgeous wooden racer isn’t exactly putting those low-power rumors to rest. It is run by an electric screwdriver, though…so perhaps we can forgive its lack of impressive speed. 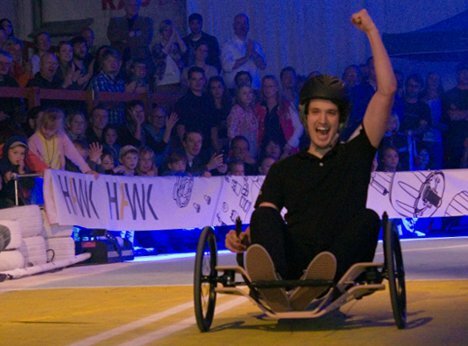 The Rennholz (German for “Race Wood”) was created for the HAWK Hildesheim bi-annual race, in which the custom vehicles all have to run on electric screwdrivers. 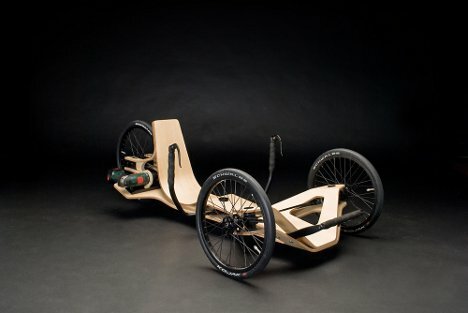 A group of design students developed and built this slick, beautiful handmade car from custom-fabricated bent plywood. Propelling the vehicle is a plan old Bosch electric screwdriver. The car’s top speed is a mere 15 MPH and it can only run for about 10 minutes at a time. In order to run any faster or any longer, a much bigger battery would be required. But the point of the Rennholz isn’t practicality; it’s meant to be a celebration of the materials and a testament to the creativity of its makers. And those things it does very, very well. See more in Art Vehicles or under Transportation. April, 2012.